Home Financial Tips Personal finance Your Finances Can Turn On A Dime: Be Smart! Your Finances Can Turn On A Dime: Be Smart! One of the most important things we all need to do is to stay financially stable. But it's very easy to let one little misstep take you down a path of real financial struggle, one that can take years to overcome. Maybe it was accepting a job that you later lost to a layoff. Maybe you bought too much house for your budget. Or it could have been trouble with the law, divorce, or a million other things. Whatever the cause, you have to take action to fight off the problem and get back on track. Here's a quick guide for some things to do. The first thing to do to fix a bad financial situation is to stop making money mistakes. Insurance is one of those places where you can start to turn the tide. If you've gotten a DUI, you will quickly find that liability insurance is hard to get. But in order to be able to hit the road legally, you've got to have it. For that reason, some people who've lost their insurance coverage are tempted to drive with none. It might work for a little while, but a minor fender-bender or a traffic stop could compound and extend the effects of the original DUI. Instead of taking a chance on making your one-time setback into a lifetime hassle, find a carrier who can provide coverage for people in situations like yours. Remember, your problem originated with a single mistake. Keep yourself on the good side of the law and you'll recover much more quickly. 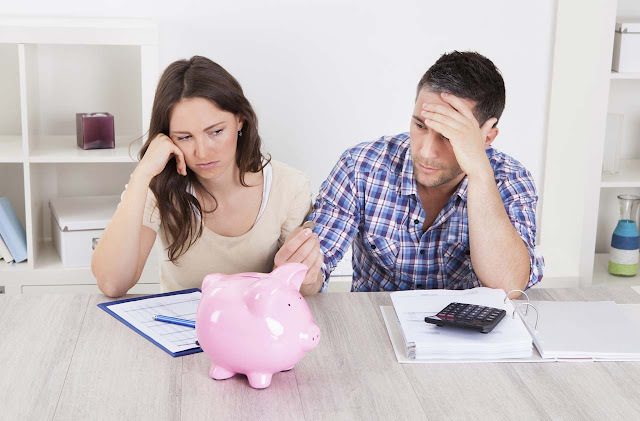 While you can get into a financial mess rather quickly, it's much slower to get out of it. Many people feel that the small steps toward a better money situation aren't all that helpful and that it's not worthwhile to make such limited progress. And while it's true that $10 a month in savings doesn't look like much by itself, the addition of other savings and the accumulation of the entire group over the course of months and years can make a difference. Find those little savings. Revisit your cell phone plan. Consider deductibles on your insurance. Have your local power company do an energy audit of your home. If you find five places in your budget where you can free up $10 a month, you'll see $600 more in your hand each and every year. You can even put the savings into a separate account that you cash out at year's end, if that makes the progress a little more real to you. The only thing worse than several years of financial misery is repeating them. If you've done things that precipitated your monetary struggles, spend your recovery time doing more than just paying your way out. Think about how you'll establish and maintain the discipline needed to avoid a repeat. If the initial mistake was financial, it can be pretty easy to stay on track. After all, if your oversized house forced you into foreclosure and a smaller home, you've adapted to fewer square feet and you know that you didn't need that big place to begin with. But when it's a mistake of another type, like the aforementioned DUI, it's more difficult to avoid if you don't make some changes. In that case, stop drinking, or at least develop a failsafe plan of designated drivers. So it comes down to a three-part process: Quit making mistakes, accept gradual improvement, and don't get back in the old mess again. Commit yourself to sticking with it and you'll succeed.